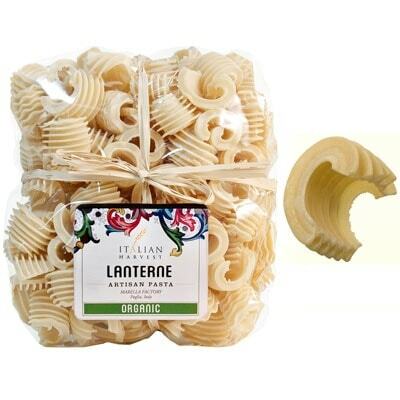 Among the most interesting pasta shapes from artisan pasta maker Marella, this pack of Lanterne is great for holding all kinds of yummy sauces in its ridges. Each pasta has a number of deep ridges on both sides and has a bit of a curve. And if you are fond of meat sauces, you will certainly get mouthfuls of that yummy sauce in every bite. On top of that, they can be quite lovely to behold and will make great primo dishes for special occasions. Planning a dinner party soon? Then, order a bag of this pretty pasta so you’re certain to at least have one pretty option in your menu!